My first helper from Phillipines cooked this dish and my children loved it so much. After she left, she taught my parents' Indonesian helper until I decided to learn from her as I missed the dish so much. 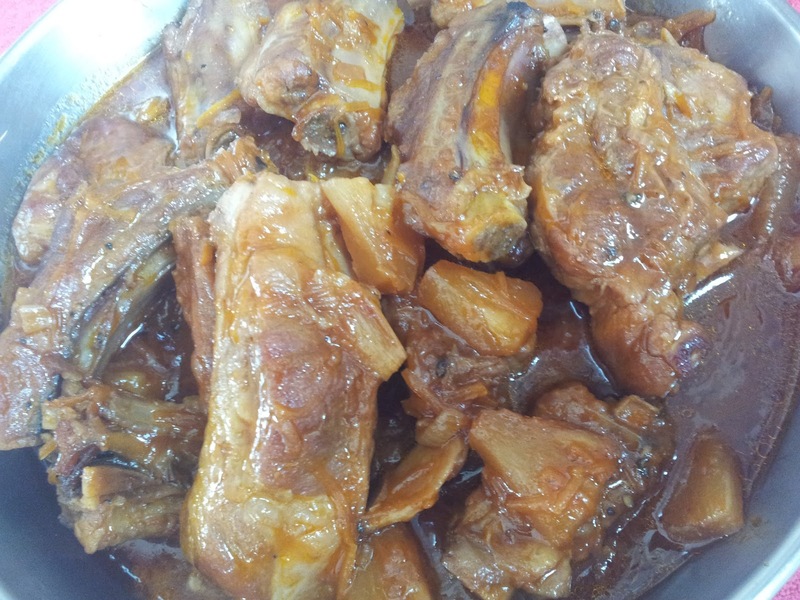 It is a bit like sweet and sour pork dish but the healthier version because it is braised. You can either use pork ribs or pork belly for this dish. 7) Add salt, sugar to taste if needed.